Despite flunking on his way to the scales last time, David Lemieux could get another chance to appear on a Canelo Alvarez undercard. He tells RDS that he is working to put together a super middleweight bout with John Ryder for May 4th. Ryder (27-4, 15 KO) has won three straight, all by knockout, since a controversial split decision loss to future Canelo victim Rocky Fielding. His most recent effort saw him stop previously unbeaten Andrey Sirotkin in seven. 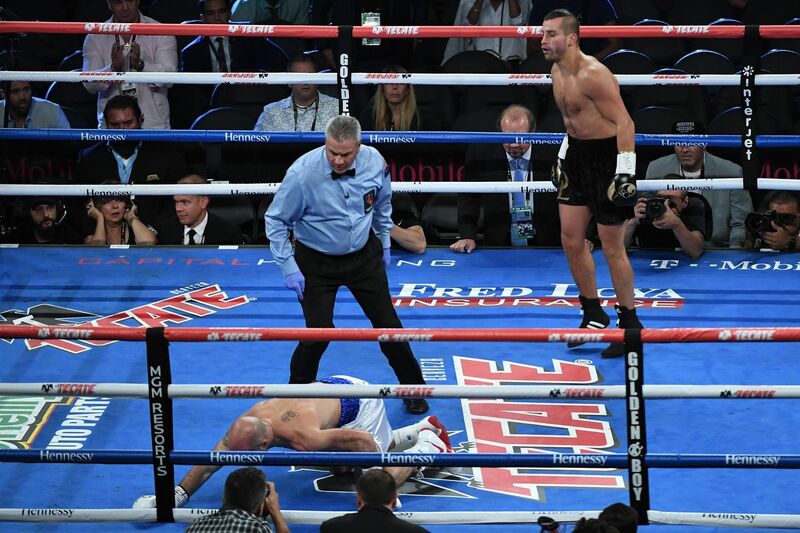 Lemieux (40-4, 34 KO) stated his intention to move to 168 after missing weight against Karim Achour last May, though he successfully made the middleweight limit four months later for his knockout victory over Spike O’Sullivan. He was set to fight Tureano Johnson on the Canelo-Fielding undercard, only to foul up his weight cut so badly that he didn’t even make it to the scale. Interestingly, despite being a longtime super middleweight, Ryder is actually half an inch shorter than Lemieux and possesses an identical reach. He’s still a stiff test for Lemieux and should give us an idea of what effect the Quebecois slugger’s power has on 168-pounders.